You’ve done your research, analyzed the trends, assessed your general business needs—and it’s settled: you’re sold on the idea of a new ERP solution for your organization. But as discussed in Part 1 of this blog series, Why There’s No Such Thing as “The Best” ERP Solution, there is no easy choice; no one-size-fits-all solution. And with so many options—from SaaS to on-premise, general or industry-specific packages, big-name vendors or smaller players—it’s no wonder that organizations wrestle with dozens of questions as they navigate the decision-making process. 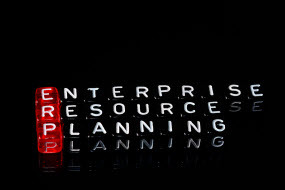 When it comes to ERP solutions, I’ve had the opportunity to work with dozens of companies (including my own) to help translate organizational needs into ERP success. And there’s good news: I’ve got it down to a science. Take these five actionable steps to ensure you select the best-possible-fit ERP solution for your organization. The first, most essential question you need to answer is this: what are the functional elements that your business needs to accomplish with an ERP solution? Do you need a system that processes foreign currency exchange gains and losses? Improves order processing? Optimizes various accounting functions? Make a list of the full range of functional possibilities that you can potentially achieve with your ERP system. This should be a collaborative process that involves all the departments and/or team members who will be using the system. The more cross-departmental functions you require, the more comprehensive your list will be — so take the time to do a careful and thorough analysis with the right people. Conduct interviews with different teams. Review existing accounting policies. Understand how reporting packages are being used. Analyze the flow of data behind current processes. And so on. It’s worth noting that the Discovery step is the most critical step in your ERP selection process. I can’t emphasize enough the importance of involving the right stakeholders during this phase to identify your full range of financial systems needs. Keep in mind, the more thorough you are in this step, the better your ERP system will meet your expectations once implemented. Once you’ve done your research and collected the data you need across different business areas, it’s time to formalize everything into a business requirements document. This list should include all necessary functions determined in Step 1 – as well as all non-functional items to accomplish. Have you researched vendors to assess their financial stability? Which vendors have good reputations for service? (Read about similar questions to ask in Part 1.) These considerations, while not related to an ERP’s features or functions, are still significant in your selection process, so it’s a good idea to formalize and document them. Next, review your document with key stakeholders to rate and prioritize each item. This assessment will prove useful when it comes time compare two packages that have similar features on the surface, but one outperforms the other on a specific “high-ranked” function. After laying out your internal needs, it’s time to develop a list of viable vendors. This step will require a fair amount of exploratory research where, over the course of a few weeks, you can set up calls (or meet in person, if proximity allows) to share information and address your high-level needs in a vendor. Stick to your list of ERP goals and must-haves, then eliminate certain vendors that don’t quite fit the bill. The goal at the end of Step 3 is to narrow it down to two or three vendors that you’d like to pursue further. Once you’ve narrowed down your vendors, you’ll need to take a deep-dive with a product demo. Expect these demonstrations to last about 2-3 hours. Leading up to the demo, the vendor will typically work with your company to establish which high-priority business functions to cover. A well-run demo should be as tailored to your business (and your industry) as possible to give users a true sense of how the software can improve your daily operations. After the demo, meet with your team to further assess. Does the software present challenges? Does it effectively address your top priorities? Are there functions that you’d like to take another look at? In most cases, I’d highly recommend a second demo to further flesh out any lingering questions or concerns. When it’s down to just two vendors, the second demo can really help tip the scale. During this phase, be sure to check references. The vendor will most likely supply you with a list of references, but it’s smart to do some independent research as well, which can be as simple as asking peers on LinkedIn or having conversations with colleagues. When you make it to this step, congratulations — the hard part is behind you. You should have all the research you need to make your final decision. If there’s still uncertainty, here’s what can help: put together a scorecard for your team with line-itemed business requirements (including features, functions and non-functional requirements discussed in Step 2). Have all key stakeholders assign a rating to each line item, summarize your results and you’ll have a winner. The ERP selection process does require a good amount of research and due diligence, meaning it can be tempting to take shortcuts or assign it to a project manager who may not have the bandwidth or know-how to lead the process. The final selection may be the fastest step, but it’s critical to have a resource wholly dedicated to it to ultimately ensure the smoothest possible implementation. While these 5 steps are a good start, keep in mind that 8020 Consulting can guide you through both the selection and implementation process to make sure your organization is fully benefitting from the best possible solution. If you have questions, or would like to connect, take the first step by contacting us. Michael has over 20 years of diverse financial and operational leadership experience, including positions as CFO and VP of Operations of multiple technology and ecommerce companies spanning several ownership structures including VC, international parent companies and angel investors. Most recently, Michael was the CFO of PeopleMatter, where he was instrumental in fundraising efforts, the implementation of a new Financial system and the purchase of an integrated supplier. Early in his career, Michael was a manager of financial analysis at Brylane, a subsidiary of Pinault-Printemps-Redoute. Michael is a CPA, holds a Bachelor’s of Science in Accounting from Indiana University Northwest and an MBA from the Kellogg School of Management at Northwestern University.